Battery Type: Lithium Ion Chuck Size: 1/2"
Disclosure: This article contains affiliate links, which means we may receive a small commission, at no cost to you, if you make a purchase through a link. 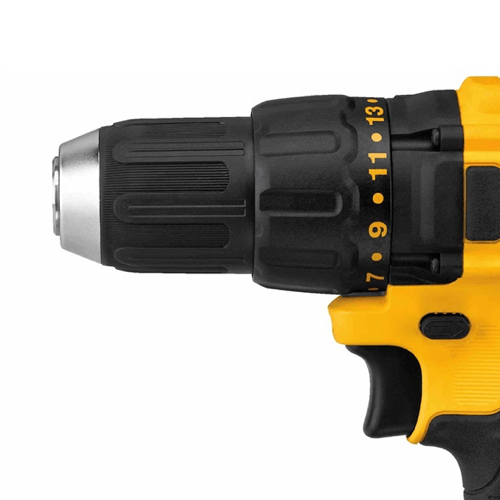 It shouldn’t come as a surprise that the number one tool on Gizmodo’s list of the ten power tools that everyone should own is a drill driver. Ask a selection of DIYers and professional tradespeople which tool they rely on the most, and we wouldn’t be surprised if a drill driver sat towards the top of that list too. You see, while their primary function may be to drill holes and drive screws, the list of tasks that drill drivers can perform is virtually endless thanks to their expandable chucks which can hold a wide variety of attachments. From accepting drill bits of various sizes and profiles and different screwdriving and fastening bits to options such as sanding and polishing bits, it’s no wonder that people rely on drill drivers so heavily. As you’ll see in the next few minutes, the DEWALT DCD777C2 20V max lithium-ion brushless compact drill driver is one such example of a power tool with widespread appeal. It’s an excellent option for beginners and professionals who are looking for a reasonably priced, cordless drill driver that is well-suited to both light and medium-intensity tasks and projects such as household DIY, and furniture assembly and installation, for example. Not only does the DCD777C2 feature a brushless motor for lower maintenance, increased efficiency, and a longer lifespan, but it also comes with everything you need to get started including two lithium-ion batteries to help you complete longer tasks and minimize downtime, a compact charger, and a handy kit bag to keep everything together while not in use. You can usually make a quick and easy assessment of the power that a drill driver packs by looking at the electrical charge rating of its battery measured in Ah (amp hour), as more powerful tools typically need a bigger battery to power them. 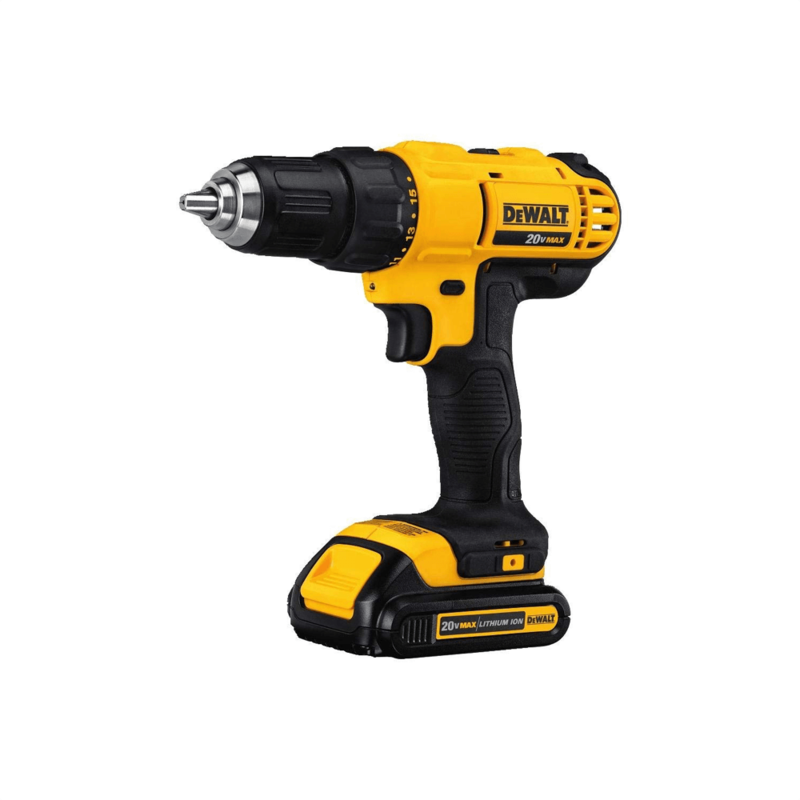 In the case of the DCD777C2, the battery’s electrical charge rating is 1.3Ah, and this is fairly typical for a drill driver that is intended for light and medium tasks, hence the suggestion in the introduction that this model would be well-suited to household DIY, for example. We’d probably only recommend the DCD777C2 to professionals as a backup or as a drill driver that they dedicate to lighter tasks, as it’ll likely struggle with more heavy-duty tasks such as frequent drilling into concrete as a result of its lower power and the fact it lacks a hammer function. We generally recommend that pro users stick to 5Ah and above too, making the DEWALT DCD991P2 a better option if you’d like to stick with one drill driver only – click here to see it on Amazon. Regular users shouldn’t be put off by this, however, as the DCD777C2 regularly receives positive reviews stating that it is powerful enough thanks to its brushless motor and 1.3Ah rating to handle the needs of keen DIYers and homeowners. 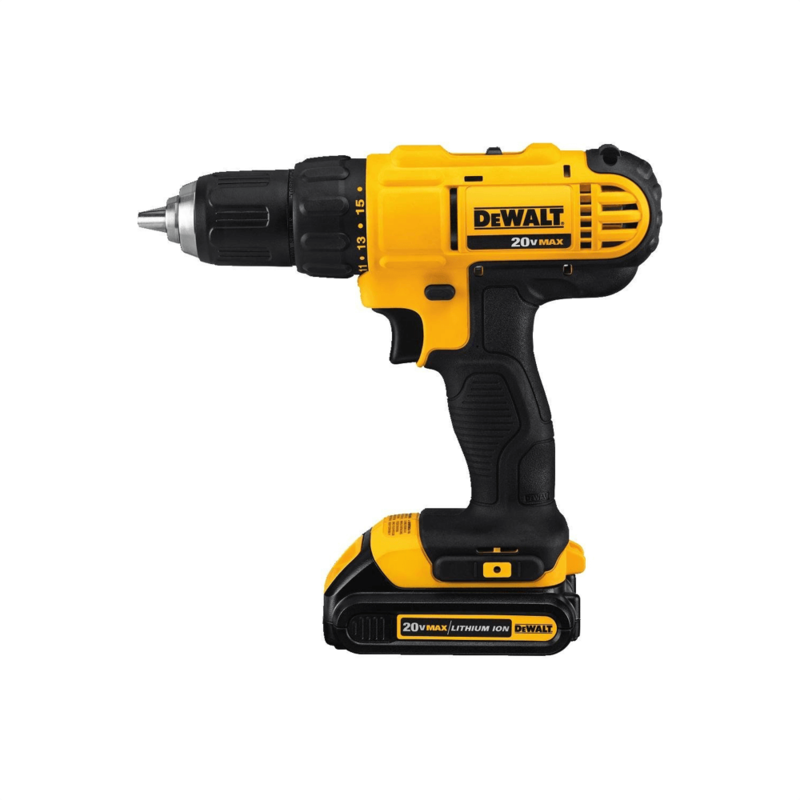 As mentioned, the power output of this DEWALT drill driver makes it best suited to light to medium-intensity tasks such as household DIY. The DCD777C2 package comes with almost everything you need to get started, including two lithium-ion batteries, a compact charger, and a handy kit bag to keep everything together while not in use. The only thing you’ll need to add is an assortment of drill bits or insert bits, and you’re good to go (we’ve recommended a few options in the accessories section below – click here to view these now). DEWALT has gone to great lengths to ensure the drill driver is as comfortable to use as possible. It isn’t a strain to use over prolonged periods thanks to the lightweight design, and the ergonomic comfort grip helps to provide excellent balance and tool control during more fiddly tasks. This model features an adjustable torque mechanism to make it easier to drive and remove a large range of fastener types and sizes, and you can easily adjust this by twisting the torque adjustment collar at the front of the drill driver’s body. The DCD777C2 comes with 15 clutch settings (see image below), and the higher the number you select, the higher the torque output and so the bigger the fastener you can drive. Changing the direction of the drill driver’s output couldn’t be easier either. Simply press the handy forward/reverse push control button located near the trigger, and you can change the direction as needed. Another positive is the DCD777C2 drill driver’s compact design (measuring just 7.52″ from the front to the back), which helps to make working in confined spaces much more manageable, while the built-in LED light remains lit for 20 seconds following the release of the trigger to aid visibility while using the tool in dark areas or at night. The DCD777C2 kit’s drill driver comes with all the benefits associated with having a brushless motor. These are becoming increasingly popular because they require less maintenance and have a longer lifespan versus a brushed equivalent, ultimately saving you time, money, and effort in the long-run. Brushless motors also provide more power thanks to the fact that they have less energy-reducing restrictions versus brushed motors, and perhaps of most benefit to users, they allow for longer runtime and require less battery charging thanks to increased efficiency. Coupling these benefits, along with the two lithium-ion batteries supplied with this drill driver and the motor’s powerful maximum torque output of 500 in-lbs, means you’ll be able to complete longer, tougher tasks and minimize downtime. What’s not to like about that? Users can adjust the drill driver’s speed to better suit whichever task they’re performing, all thanks to the variable speed control built into the trigger mechanism. The harder you squeeze, the faster the output RPM will be, and once you let go, the brake kicks in to stop the chuck rotating immediately. In addition to the torque adjustment collar mentioned above, the DCD777C2 also features dual range functionality that allows you to switch gears to further suit the drill driver’s output to the demands of each task. You can change gear using the adjuster on top of the body, with speed 1 being the higher torque setting and speed 2 being the lower torque setting. The DEWALT DCD777C2 provides a good mix of power, ease of use, and value for money. No, it probably won’t be go-to drill driver for the professional tradesperson as the 1.3Ah output, the lack of a hammer function, and the plastic chuck means that it won’t meet the demands of heavy-duty use. 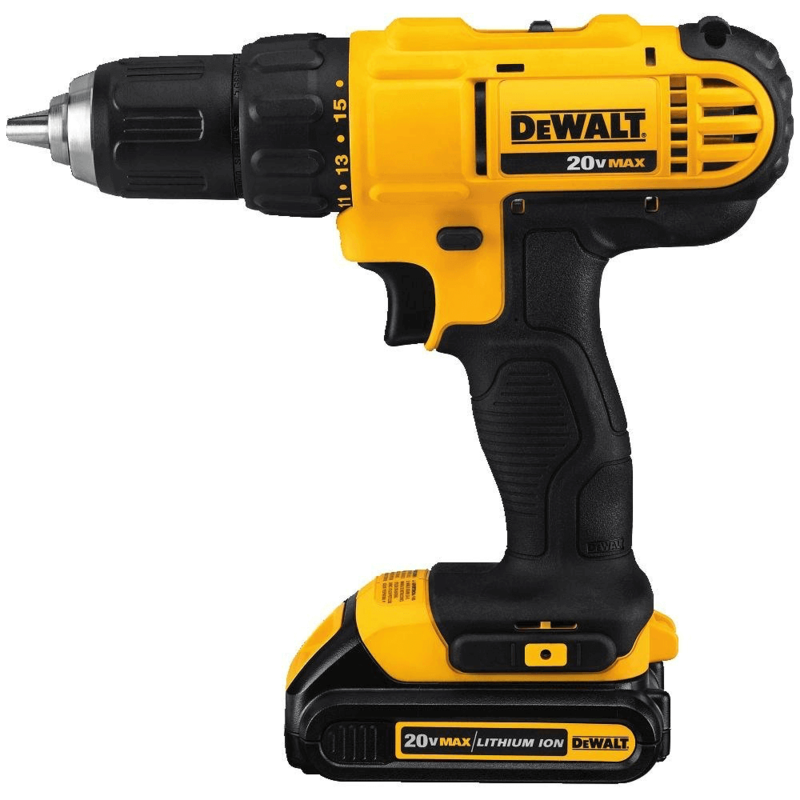 So, if you’re in the market for an affordable drill driver from a company like DEWALT that has a stellar reputation for designing and manufacturing quality power tools, the DCD777C2 is a great option. We’ve included a summary of the various advantages and disadvantages of this model below to help you make up your mind. 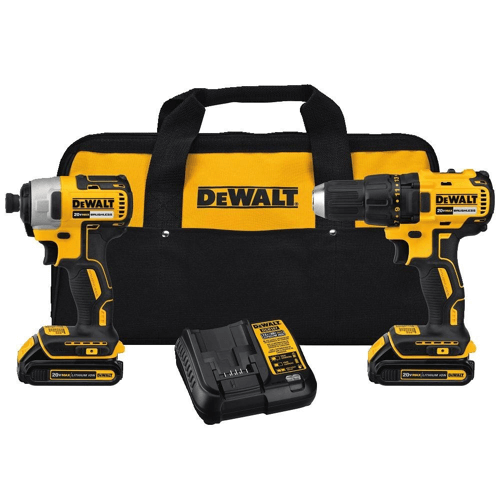 Work for longer and minimize downtime thanks to the two lithium-ion batteries supplied with the DCD777C2 DEWALT drill driver set. 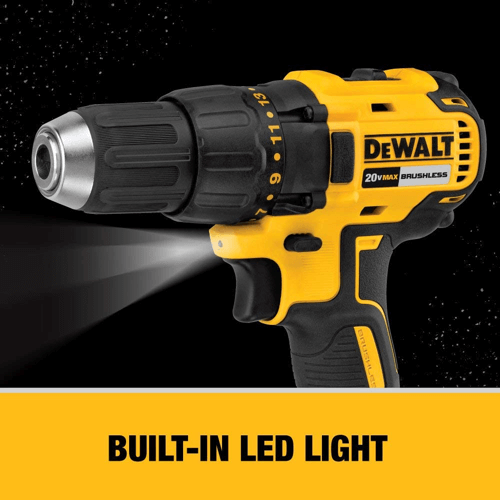 Don’t struggle when working in dark, confined spaces given the drill driver’s small size and the built-in LED light with 20-second trigger release. Enjoy a longer lifespan, less maintenance, longer runtime, and less battery charging as a result of the brushless motor used on this model. Quickly and easily adapt the drill driver’s speed to best suit each material/bit type by taking advantage of the drill driver’s variable speed feature. Handle the majority of light and medium-tasks with ease given the drill driver’s powerful torque output of 500 in-lbs. Benefit from the flexibility of being able to use larger sized bits thanks to the 1/2″ chuck size on this model. Have confidence in the DCD777C2’s ability to perform thanks to DEWALT’s reputation for manufacturing quality power tools and the 3-year limited warranty provided. The chuck is plastic as opposed to metal, and this may result in the chuck working itself loose during more intense tasks. The DCD777C2 cannot function as a hammer drill (for drilling into particularly hard surfaces, for example, concrete) or an impact driver like the DEWALT DCF885 which we’ve also looked at (check out the following guide for the main differences between these types of tool: Impact Driver vs Drill). If required, you’ll need separate tools to provide the hammer and impact functionality if you decide to purchase the DEWALT DCD777C2. The main difference between the DEWALT DCD777C2 vs DCD771C2 is that the former features a brushless motor, whereas the latter comes with a brushed motor. As discussed, brushless motors are becoming increasingly popular given the fact that they require less maintenance and generally have a longer lifespan compared to brushed alternatives. Aside from other minor differences such as the DCD777C2’s lighter weight and slightly different speed output, both models are quite similar given that they each feature a 20V max output, variable speed, and a keyless plastic ratcheting 1/2″ chuck. The choice between the DEWALT DCD777C2 vs DCD771C2, therefore, will likely come down to whether or not you want to go with the DCD777C2’s brushless motor (we’d highly recommend that you do). While the primary use of a drill driver may be to drill holes and drive screws, the list of tasks that they can perform is virtually endless thanks to their expandable chucks which can hold a wide variety of attachments. From drill bits of various sizes and profiles, different screwdriving and fastening bits, and options such as sanding and polishing bits, there is a huge selection of accessories available that you can use with the DEWALT DCD777C2. 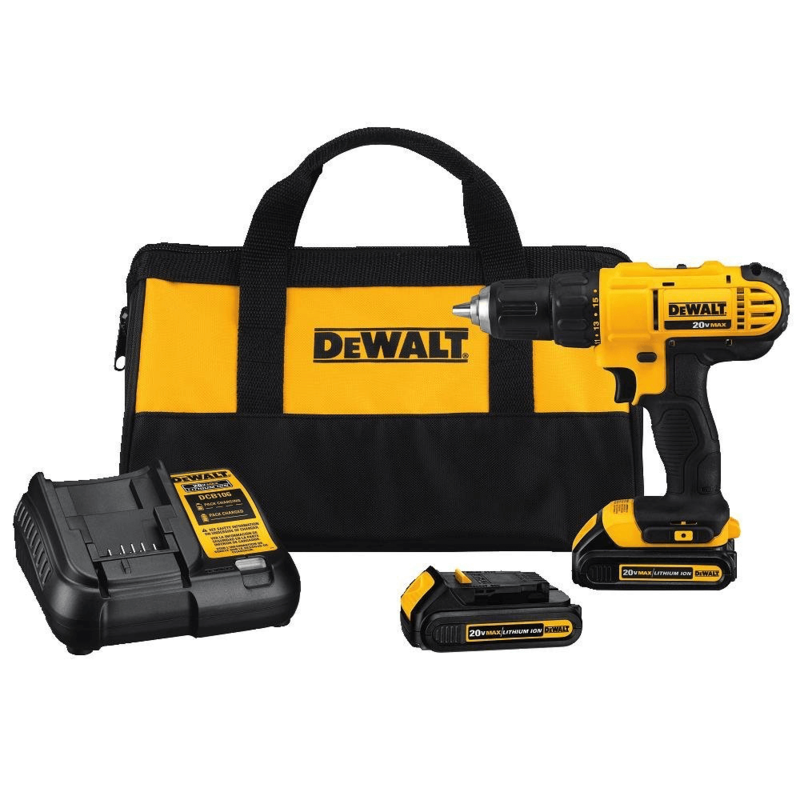 (We’ve included the DCK277C2 combo pack below as it comes with an impact driver as well as the DCD777 drill driver. Impact driving is a common requirement, and because the DCD777C2 lacks this functionality, the combo pack can be a better choice for certain users). The DCK277C2 combo kit is a good option for users who are after both an impact driver and a drill driver, as the DCD777C2 does not offer drill driving capabilities. 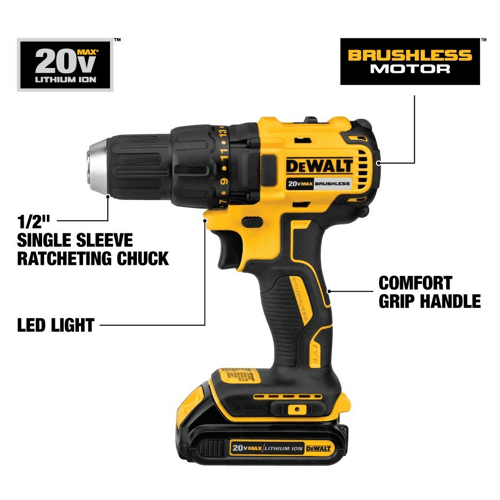 It features the DEWALT DCD777 as well as the DCF787, and both tools come with brushless motors, comfort grips and LED lights. The DW1342 drill bit set features speed tips to reduce walking during use, and they’re ideal for drilling into metal, wood, and plastics. 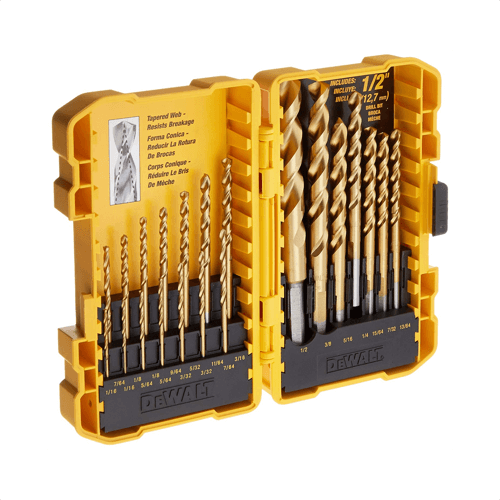 Each drill bit features a titanium coating for longer life, and the set comes in a sturdy plastic case to help keep the bits organized and protected while not in use. The DEWALT DW2587 drill bit set features 17 black-oxide drill bits ranging up to 3/8″ in size, as well as a variety of industrial screwdriving bits and fastening bits for use with your DCD777C2 drill driver. This set also comes with a magnetic bit tray and hard plastic storage and carrying case. The main purpose of a drill driver is to drill holes and drive screws. The list of tasks they can perform is virtually endless, however, thanks to their expandable chucks which can hold a wide variety of attachments. So instead of just using drill/screwdriving bits in drill drivers such as the DEWALT DCD777C2, you can also use accessories such as sanding and polishing bits which helps make these tools very versatile. What is the difference between a brushless and a brushed drill? In simplistic terms, brushed motors feature carbon brushes which the electrical charge travels through, whereas in a brushless motor power is generated using magnets. As a result, brushless motors generate much less friction, which in turn leads to less heating and overall better performance versus brushed equivalents. Brushed motors typically require more maintenance because the brushes are prone to wearing out, but this isn’t an issue if you opt for a tool like the DCD777C2 which features a brushless motor. No load speed refers to the motor’s RPM whenever the tool is spinning freely with no drill/driving bit attached and while it isn’t completing a drilling or driving task. It allows a comparison of the various motor speeds between different tools. Does the DCD777C2 package feature a separate drill and a separate driver? No – the kit comes with one tool which is capable of both functions. Does the DCD777C2 feature an LED light? Yes – it has a built-in LED light which remains lit for 20 seconds following the release of the trigger to aid visibility while using the tool in dark areas or at night. Does it feature a built-in belt clip? No – the DCD777C2 does not come with a belt clip. 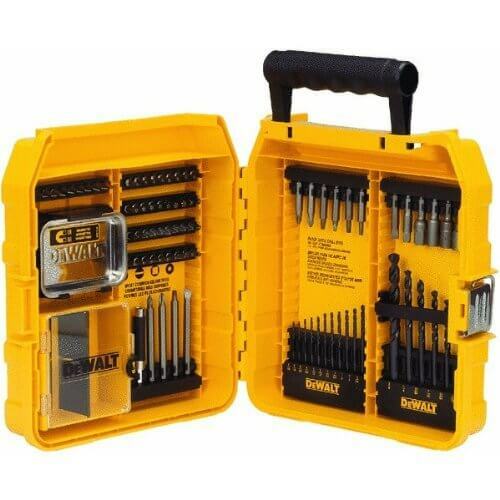 Does the DCD777C2 DEWALT drill driver set come with any drill bits or insert bits? No – these sell separately. See the accessories section above for a couple of popular accessory packs which feature drill/insert bits. Can the DCD777C2 function as a hammer drill? No – this model does not function as a hammer drill. Is the chuck made from plastic or metal? Both – the chuck’s internals are plastic, whereas the keyless ratcheting system itself features sturdy plastic construction. Does the DCD777C2 have both a forward and reverse function? Yes – it operates in both forward and reverse, with the direction being selectable using a button on the drill driver’s body. What is the torque output of this drill driver? The torque output is 500 in-lb. What is the maximum RPM? The maximum no load speed of this model is 1750 RPM. The DCD777C2 is backed by DEWALT’s 3-year limited warranty. Want to See Other Users’ Opinions?